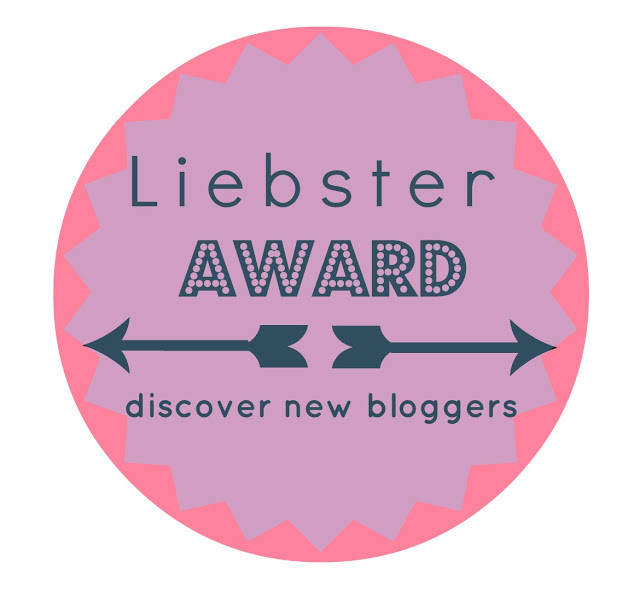 Blogging is new to me, so I was very excited to be nominated by Styled with Joy for the Liebster Award. It’s fun to be able to share a little bit about myself and encourage my fellow new bloggers to do the same. Are you a dog person or a cat person? I guess both. I grew up with lots of cats. My family has a soft spot for them and we always take in the rescues. However, I also had a dog and I am currently contemplating getting myself a puppy. Do you have any brothers/sisters? Are you close? I have one of each. I am the oldest of three. My brother is 1-1/2 years younger than me and is currently in China teaching English as a second language. My sister, Marina, is 4 years younger than me and we are as close as can be. She is my best friend and I couldn’t imagine life without her. Favorite TV show(s)? I used to be a tad embarrassed to admit it, but I don’t care anymore. I LOVE following the Bachelor/Bachelorette. My best friend and I started watching it together. It was our girls night together to drink wine, and now I’m addicted. I can’t even begin to explain how entertaining it is. I’ve even got my man sucked into it, ha ha. Describe your BFF in three words. Beautiful-inside and out. One of a kind-there’s no one like her and that’s what I love about her! Dependable-no matter where we are in our lives or how far apart we might be, I know I can count on her to be there for me 100% of the time. Chocolate, vanilla, strawberry, or nutella? Ahhhh, where do I even begin trying to answer this? I could eat nutella on anything so I have to pick all of them! Favorite high end foundation? Laura Mercier Moisture Supreme Foundation. Favorite drugstore foundation? I’m going to have to go with the L’Oreal BB Cream. I love it so much that I recently did a blog post about. Check it out here: Time to Lighten Up. 1. I am a quarter Japanese. 2. My biggest weakness is chips. Mainly salt and vinegar chips. 3. I love baby animals so much that I immediately start crying when I see them. 4. I studied abroad in Queensland, Australia for 5 months. 5. I’m obsessed with lotion. Body lotions, face lotions, hand lotions. I love them all and I can never have enough. 6. I love to cook. I find it extremely therapeutic. 8. I’ve been bungee jumping and sky diving, but somehow I’m now finding that I have a slight fear of heights. 9. I grew up in a super tiny town, graduating with under 100 people. 10. I LOVE food. My boyfriend and I probably spend way too much time and money eating out, but we just love experiencing new places and new foods. 11. I work full time as a Registered Nurse, but I truly feel that beauty, makeup, and health are my callings in life. 1. And here are the questions for my nominated bloggers. Have fun! 3. Who is your favorite blogger and why? 4. Sweet or salty foods? 5. Favorite/most delicious food you’ve ever tasted? 6. Do you have a secret talent? 7. When you’re having a terrible day, what will brighten it? 8. Number one thing on your bucket list right now? I hope you guys enjoyed some of these quirky things about me! haha I’d be lying if I said I never got sucked into them too! Thanks again for nominating me, I had a great time with this post! Of course. Your blog and posts are awesome. You deserve it girl! Congratulations on the award! I love hot chips and vinegar together! Or are you talking about the potato chips in packets? But have you ever tried ice-cream and hot chips together? Haha. Weird combo but it’s so nice! At first I was confused why you asked if the chips were in packets, haha but then i realized you were from Australia and I remember that you call our french fries “chips” over there. So yea, i’m referring to the packaged ones and i’ve never tried hot chips and vinegar together but i bet that’s amazing! and the ice cream thing even more amazing! i’ll definitely have to try that. sounds just like something i’d love!